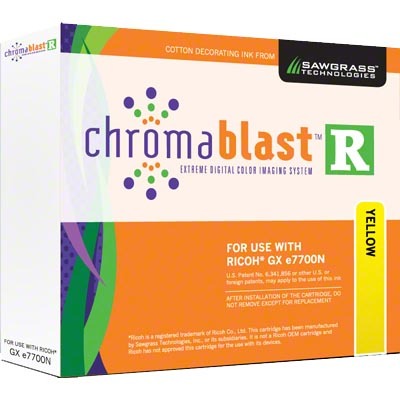 Yellow e7700N ChromaBlast-R™ Ink Cartridge, 60ml, for the Ricoh GX e7700N printer. 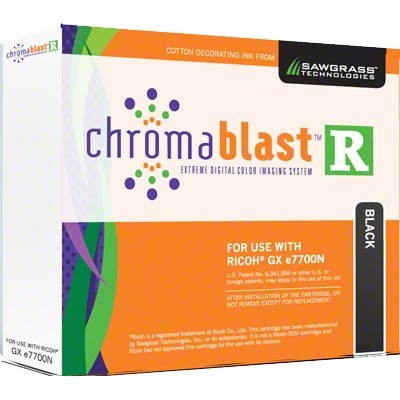 As a total solution provider, Condé provides free software and unparalleled support with ChromaBlast. The ink collector for the E7700N printer is 405700, sold separately. Magenta e7700N ChromaBlast-R™ Ink Cartridge, 60ml, for the Ricoh GX e7700N printer. As a total solution provider, Condé provides free software and unparalleled support with ChromaBlast. The ink collector for the E7700N printer is 405700, sold separately.